John Joseph Fedigan, son of James Fedigan and Anna McGowan, was born in Rathbran, Ireland, on April 27, 1842. He studied at Saint Mary's College in Wilmington, Delaware, before entering the Province in 1864. In May of that year he was sent to make his novitiate at Ghent, Belgium, with three other novices, Timothy Hayes, James Conway, and John Gilmore. The first two of these classmates, on their return to the United States, died at 25 and 24 years of age, respectively, due in no small part to the severe conditions under which they all lived in Ghent. 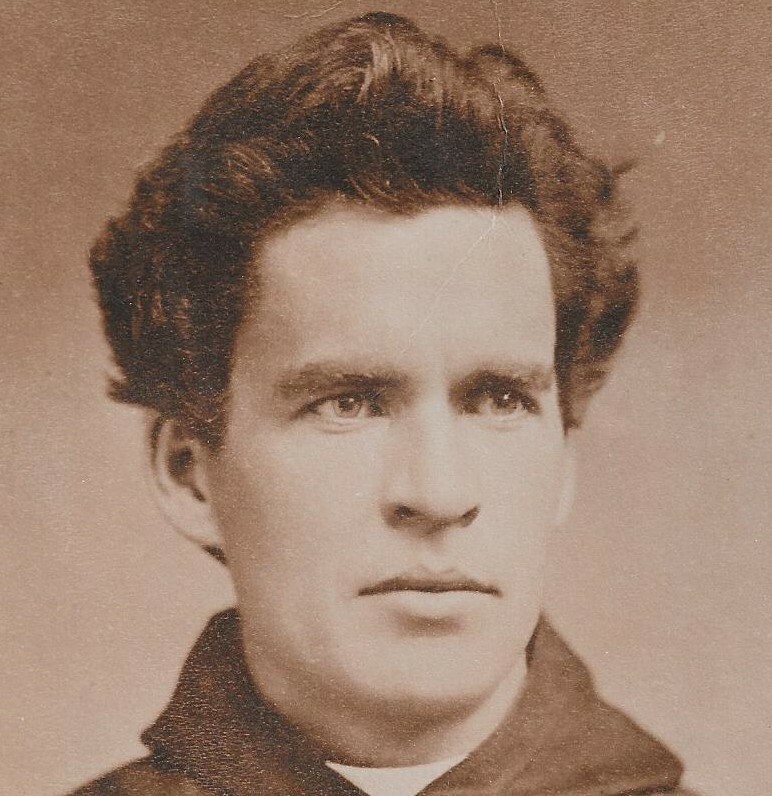 John Fedigan made his profession of vows on July 23, 1865. In January, 1868, he returned home with James Conway, who was already seriously ill with tuberculosis. The two were ordained to the priesthood on October 24, 1868 by Bishop Jeremiah Shanahan of Harrisburg, Pa. in the Philadelphia Cathedral. Father James Conway died less than six months later. Father Fedigan’s first assignment was as pastor of St. Denis Parish in Havertown, Pa. On December 1, 1869, he was assigned to St. Patrick’s Parish in Cambridge, New York, where he was instrumental in the establishment also of St. Joseph’s in Greenwich and the purchase of the latter town’s first Catholic church. In 1873 he was transferred to St. James’ Parish in Carthage, N.Y. as the first Augustinian pastor, bringing to an end years of division in the parish between the secular clergy and parishioners. The Provincial Chapter of 1878 elected Father Fedigan a definitor of the Province and prior and president of Villanova College. The following year he opened the mission of St. Monica at Reesevill, later known as Berwyn, Pa. In July, 1880, he became the first resident pastor at Atlantic City and remained there for 18 years. In this time he became known to almost every resident, friendly toward all, and was on exceptionally good terms with non-Catholic clergy. In 1898 he was elected Prior Provincial. In this position, he negotiated with Archbishop Corrigan of New York to obtain "The Old Austin Place" on Staten Island, N.Y. He also raised more than $275, 000 to erect a new college and monastery at Villanova. These buildings were completed in 1900 and the new monastery was officially blessed by Father Fedigan on June 29, 1901. From 1902 to 1906, he served as prior at Bryn Mawr, Pa., after which he returned to the monastery at Villanova. Father Fedigan died on the day of his birth, April 27, 1908 at the age of 66. He is buried in the Community Cemetery at Villanova. Fedigan Hall, on the Villanova University campus, is named in his honor. Newer PostJames P. Conway, O.S.A. Older PostMatthew M. Cunningham, O.S.A.